In the latest example of why LSU can’t get rid of him fast enough, school president F. King Alexander penned an op-ed in the Baton Rouge Advocate repeating his usual refrain – namely, that if taxes aren’t increased so as to beef up funding for higher education, LSU won’t attract and produce top-end graduates capable of driving the state’s future economy. Selecting a university is now one of the most important decisions that individuals and their families will make in their lifetimes. In some cases, it can mean the difference of as much $1 million over the course of their careers. Understandably, parents want to send their children to a college that will not only provide an education but will pave the way toward future success. We can tell students what an exceptional education we offer, and we can show them the achievements and accolades our previous students have had, but when their parents read headlines that proclaim Louisiana is preparing for another set of budget reductions, it’s hard to combat the impression that leaves. LSU scientists won a Nobel Prize in physics last year, but that is not what potential students will remember. They will remember doom-and-gloom headlines and dark clouds of looming uncertainty. That’s why we are asking our legislators, please, to firm up the bottom line for higher education, no matter what that looks like, as quickly as they can. Gather in a special session and use that time wisely. Do it before our Louisiana students are scared out-of-state or, even worse, change their minds about going to college at all. Making the right choices now will keep our Louisiana students from becoming boxed in by what they feel are limited options due to the perceived fragility of TOPS or the potential for historic budget cuts that might never come to fruition. Do it before we lose our best talent because of wasted time. 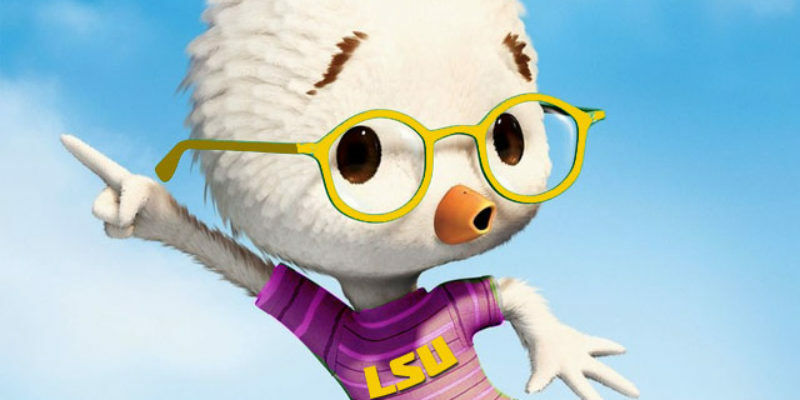 This is, of course, drivel – nobody has attracted more attention to LSU’s funding problems, such as they are, in recent years than F. King Alexander has. He’s made national news by inadvertently blowing up a bond issue the university was attempting to float over unwise public threats of “academic bankruptcy,” he interfered in a football coaching change for which private buyout dollars had been secured because of his concern for the optics in front of the state legislature (a concern which was entirely misplaced, as many legislators openly wondered why Alexander thought they didn’t understand the athletic department was self-supporting), and most recently he ended up in a Washington Post column for telling a likely-untrue story about legislators threatening LSU’s funding if any of the football players kneeled for the national anthem. All anybody knows about LSU where F. King Alexander is involved is how “underfunded” the university is. He’s seen to that. There is no university president in America who has done a more thorough job of micturating on his own product in the name of funding from the state coffers than has Alexander. Two things are undoubtedly true. First, the Chicken Little act has worn especially thin at the Capitol – legislators from both parties don’t like Alexander and are sick and tired of his constant doomsaying over funding. The latest round of screaming won’t change the minds of the fiscal conservatives who think everything in state government suffers from at least a little fiscal bloat, and it also won’t make the friendlier legislators want to carry LSU’s standard with any more verve or gusto. To say this is a case of diminished returns is too charitable. And second, if Alexander wants to insist on lobbying the legislature for evermore funding, it would seem that doing so privately – particularly if all he has in his quiver are arrows of doom and gloom – would be a lot more efficacious than a public blast of alarm in the name of not scaring the children. For someone supposedly learned and wise enough to run a flagship university this would seem to be a rather obvious conclusion; in the case of Alexander, however, it clearly isn’t. By now it’s quite clear Alexander is no longer an effective leader for LSU, and it’s also clear he’s not willing to change his tactics or management style as a recognition that it isn’t working. It’s long past time that he moves on elsewhere, and that LSU finds a new leader capable of implementing a more effective funding and administration model than constant harangues about general fund appropriations.